Highly pressured natural gas from the Wilcox formation proved difficult to control in the prolific Oklahoma City oilfield. Within a week of a 1930 gusher, Hollywood newsreels of it appeared in theaters across America. Photo courtesy Oklahoma History Center. Circa 1940s map of the Oklahoma City oilfield. Efforts to control the well in Oklahoma City’s prolific oilfield (discovered in December 1928) were featured in movie newsreels and on radio broadcasts. It was later learned that after drilling more than a mile deep, dangerously high well pressure spiked. “The exhausted crew failed to fill the hole with mud,” noted one historian. “They didn’t know the Wilcox Sand formation was permeated with natural gas under high pressure, and within minutes that sand under so much pressure found a release.” Advancements in blowout preventing technology would help bring an to end gushers in the Oklahoma City oilfield. A Canadian March 2000 stamp featured kerosene’s inventor. Canadian physician and chemist Abraham Gesner patented a process to distill coal into kerosene. “I have invented and discovered a new and useful manufacture or composition of matter, being a new liquid hydrocarbon, which I denominate Kerosene,” he proclaimed. Because his new illuminating fluid was extracted from coal, consumers called it “coal oil” as often as kerosene. The U.S. petroleum exploration industry was launched when it was learned that kerosene also could be distilled from crude oil (see George Bissell’s Oil Seeps). With new oilfields discovered in Pennsylvania, West Virginia and Ohio, inexpensive kerosene became America’s main source of light until the electric light bulb arrived. Gesner, considered the father of Canada’s petroleum industry, established the country’s first Museum of Natural History in 1842. The New Brunswick Museum today houses one of Canada’s oldest geological collections, according to the Petroleum History Society. With the laying of the first section of pipe in Alaska, construction began on the largest private construction project in American history at the time. Recognized as a landmark of engineering, the 800-mile Trans-Alaska Pipeline system, including pumping stations and the Valdez Marine Terminal, would cost $8 billion by the time it was completed in 1977. Learn more in Trans-Alaska Pipeline History. Andrew Carnegie said natural gas replaced 10,000 tons of coal a day for making steel. A natural gas drilling boom began in Portland, Indiana, after the Eureka Gas and Oil Company found a natural gas field at a depth of only 700 feet. For a time, the state became the world’s leading natural gas producer. The discovery arrived just months after a spectacular natural gas well about 100 miles to the northeast – the “Great Karg Well” of Findlay, Ohio. “Natural gas had previously been found in large quantities in western Pennsylvania and had revolutionized the iron, steel, and glass industries of Pittsburgh, as industrialists adapted their factories to use the natural gas in place of the more expensive coal,” notes historian James Glass of Ball State University. The prolific Trenton limestone would be found in 17 Indiana counties across more than 5,100 square miles. The natural gas field became the largest in the world. Within three years, more than 200 companies were drilling, distributing, and selling natural gas. Learn more in Indiana Natural Gas Boom. The Offenhauser No. 1 discovery well for the giant Caddo-Pine Island oilfield in Louisiana was completed at a depth of 1,556 feet. Although the well yielded only five barrels a day and was soon abandoned, more wells followed, revealing a northern Louisiana oilfield. To prevent the loss of natural gas through flaring, Louisiana passed its first conservation law in 1906. Learn more in First Louisiana Oil Well (1901) and visit the Louisiana State Oil and Gas Museum in Oil City. In a sign the monopolistic era of Standard Oil was ending, the U.S. Bureau of Mines established the nation’s first oil and natural gas research center in Bartlesville, Oklahoma. Two years earlier, the chamber of commerce and a group of independent producers had pledged $50,000 to help build the Bartlesville Experiment Station. Discoveries in the Osage Indian Nation west of Bartlesville also “catapulted Oklahoma to the forefront of the burgeoning mid-continent oil industry,” notes the U.S. Office of Fossil Energy. In 1998, when the National Petroleum Technology Office opened in Tulsa, the Bartlesville Project Office was closed. The worst accident of the U.S. nuclear power industry began at 4 a.m. with a faulty pressure valve in the Unit-2 reactor at Three Mile Island, near Middletown, Pennsylvania. “A combination of equipment malfunctions, design-related problems and worker errors led to TMI-2’s partial meltdown and very small off-site releases of radioactivity,” notes the final report of the U.S. Nuclear Regulatory Commission. Analysis of the accident identified problems and led to sweeping regulatory changes. Today, the reactor is permanently shut down. Edwin Drake invented a method of driving a pipe down to protect the integrity of America’s first oil well. Photo courtesy Drake Well Museum. 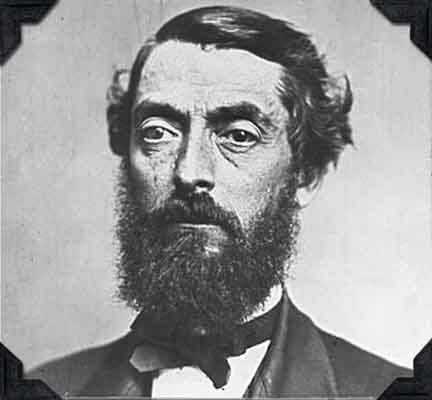 Edwin Laurentine Drake (1819-1880) was born in Greenville, New York. Forty years later, in the summer of 1859 near Titusville, Pennsylvania, he used a steam-powered cable-tool rig to drill America’s first commercial oil well. Drake would overcome many financial and technical obstacles to make “Drake’s Folly” a milestone in energy history. He also pioneered new drilling technologies, including using iron casing to isolate his well bore from nearby Oil Creek. Seeking oil for the Seneca Oil Company for refining into a new product (kerosene) his shallow well created a new industry. Drake made his historic oil discovery on August 27, 1859, at a depth of 69.5 feet. Learn more in Birth of the U.S. Petroleum Industry. “Kerlyn Wildcat Strike In Southern Arkansas is Sensation of the Oil Country,” declared an Arkansas newspaper headline as the Barnett No. 1 well opened the 100-million-barrel Magnolia oilfield. Drilling had been suspended by the Kerlyn Oil Company (predecessor to the Kerr-McGee company) because of a recession and lack of backers, but company vice president and geologist Dean McGee persevered. He was rewarded with a giant oil discovery at a depth of 7,650 feet. McGee also would lead efforts in early offshore exploration in the Gulf of Mexico. Massive waves during a North Sea gale capsized a floating apartment for Phillips Petroleum oil workers, killing 123 people. The Alexander Kielland platform, 235 miles east of Dundee, Scotland, housed 208 men who worked on a nearby rig in the Ekofisk field. Most of the Phillips workers were from Norway. The platform, converted from a semi-submersible drilling rig, served as overflow accommodation for the Phillips production platform 300 yards away.